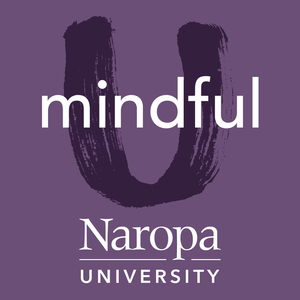 We found 3 episodes of Mindful U at Naropa University with the tag “mindful”. "Emotional intelligence has completely revolutionized our lives and our business space. And because that's there there's now this foundation around intuitive intelligence. So, this is the next nuance that I'm really passionate to bring in, is that emotional intelligence is foundational and key. But it's not the whole story of how we discern information and how we navigate the world, even though emotions are supercritical and a big part of that. Intuitive intelligence also weaves in a greater, wider array of data information that we have to be able to learn to discern. So, it's even a little more refined in some ways. So that's what I'm really excited about is bringing this next wave to the business base and then also beyond that too. So that people give themselves more permission to trust themselves on a fundamental level. And bring their empowerment and their gifts forward without apology." Sometimes, especially in mid-career, we get a little stale. It’s nice to refresh by deeply and authentically getting in touch with what matters to us within our core purpose, within our values, and within why we're doing what we are doing. Part of the training that we provide is helping people who are already in leadership roles bring more of who they authentically are to their role. In the authentic leadership program, we emphasize three different competencies: presence, engagement, and change management. Enjoy the whole podcast to hear about how we train leaders to recognize and develop these traits. DNA - something really ancient about our need to be tribal, our need as humans to come together with other humans, and music calls us all. Music is that beat, that rhythm that we feel in our hearts when our hearts are beating together in that same groove. There's something going on there that we all long for. Something that we need that we don't find in many other places in our modern society." - Paul Bassis, Arise Co-Founder Find out more at http://arisefestival.com/.